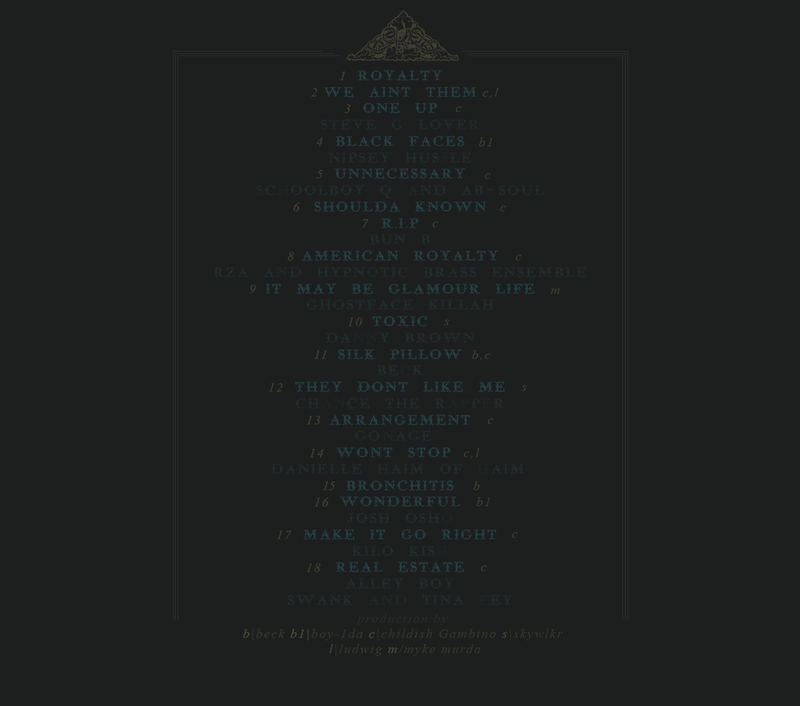 Bump Royalty, the latest mixtape from Childish Gambino, which dropped on Wednesday, July 4th, 2012. 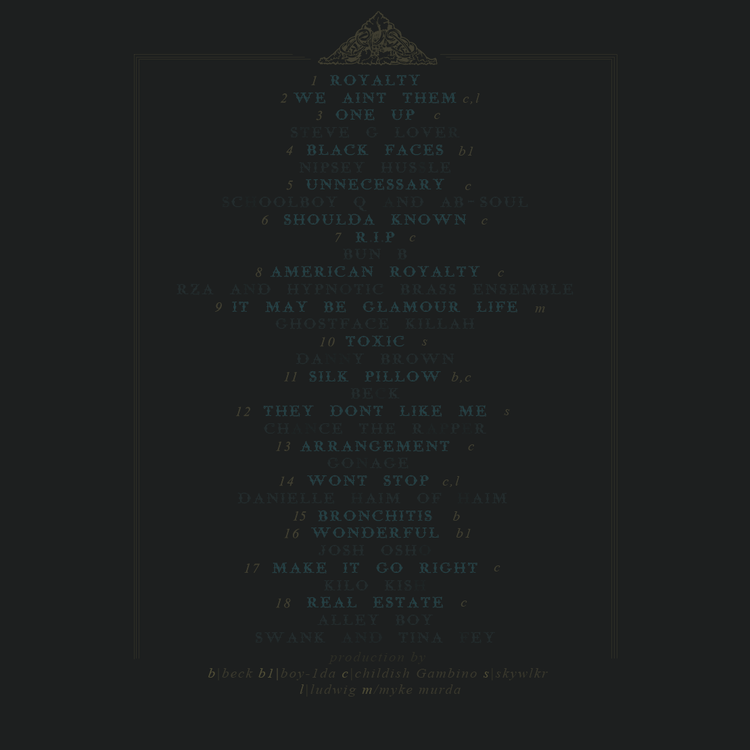 Childish Gambino's horizons are broadening with each new release, and Royalty is no exception. It's a worthy addition to a catalogue that has seen much growth since Childish Gambino stepped foot in the rap game. We're looking forward to hearing more. These artists contributed to the project: Steve G. Lover, Nipsey Hussle, Schoolboy Q, Ab-Soul, Bun B, RZA, Hypnotic Brass Orchestra, Ghostface Killah, Danny Brown, Beck, Chance the Rapper, Gonage, Danielle Haim of HAIM, Josh Osho, Kilo Kish, Alley Boy, Swank, , Tina Fey. Have you heard Childish Gambino's Body , featuring Prodigy? 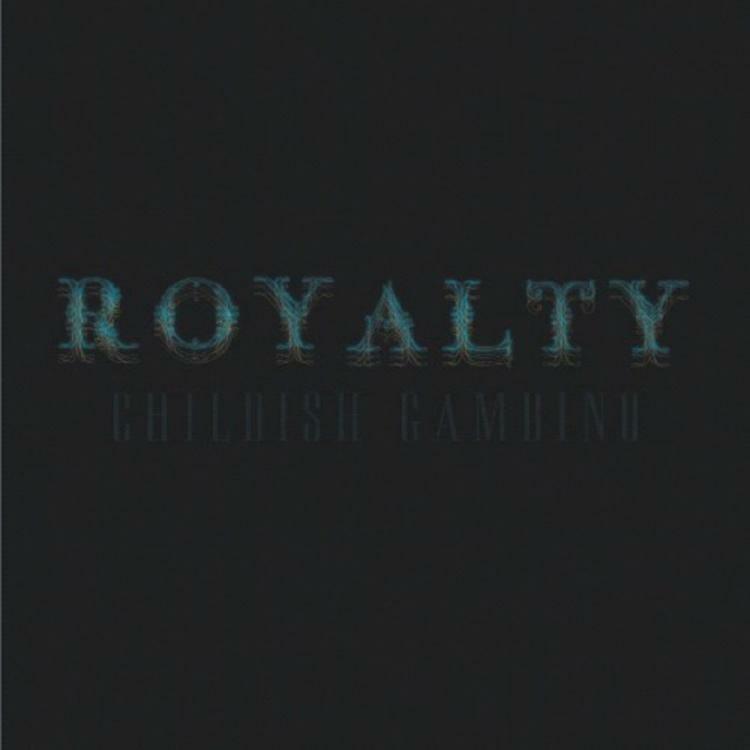 If you dig this, visit Childish Gambino's profile for the latest info, news, songs, and mixtapes. Check out Childish Gambino's Facebook and Twitter.